Are you struggling to build habits that stick? The Habit Tracker and Planner uses a science-based system to help you create new habits. It’s time to officially begin your journey to a healthier, happier you. Master the art of behaviour change and transform your life for good! Discover our 7 top suggestions for healthy habits and the exact timeframes to see real positive change. Plan the habits you’ll build and remember how far you’ve come. Discover and apply the 4 science-based steps of long-lasting behaviour change. Tracking habits is key to success. 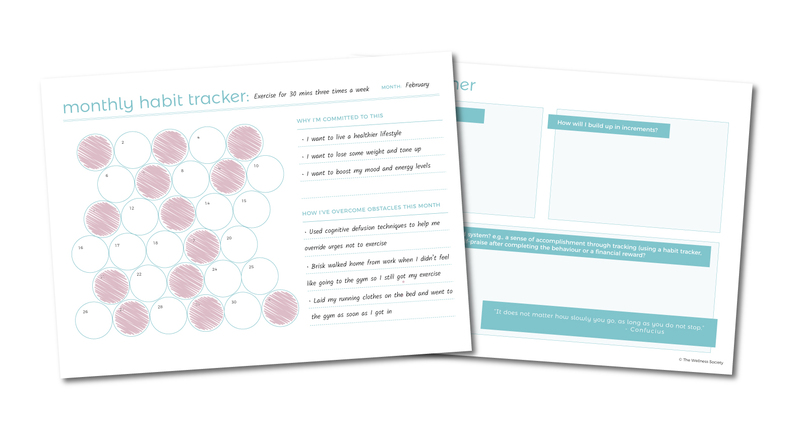 Choose from two different habit tracker designs. Research suggests it takes an average of 66 days to build a new habit. Use this tracker to build habits that stick. A helpful tracker to help you complete our suggested challenges in Healthy Habits Inspiration. Research shows keeping a food diary is a ‘keystone habit’ – a habit that triggers widespread positive change. Plan your breakfasts, lunches, dinners, and snacks for the week. Keep on top of your best meals with this handy log! Clarify your exercise goals. Plan your exercise schedule. Track your progress. Use your system. And succeed! Keep track of your progress with this handy log. Want to sleep better? Discover the most important sleep habit in the Healthy Habits Inspiration section and track your progress. All our tools also come with additional online resources to help you along the way! 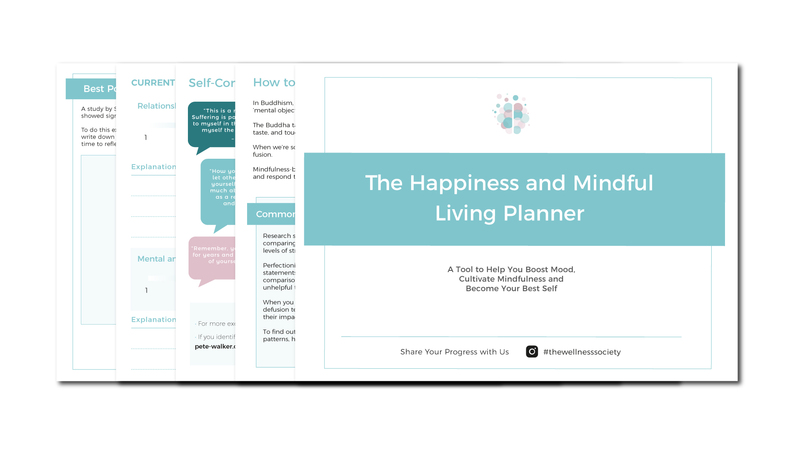 A digital download link for The Habit Tracker and Planner (18-page PDF) will be emailed to you immediately after purchase. 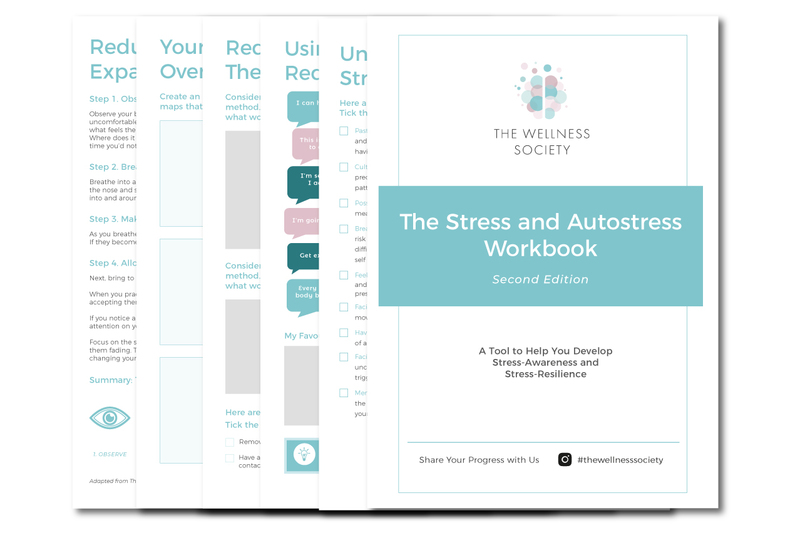 Looking for Worksheets for Professional Use? This product listing is for personal use only. 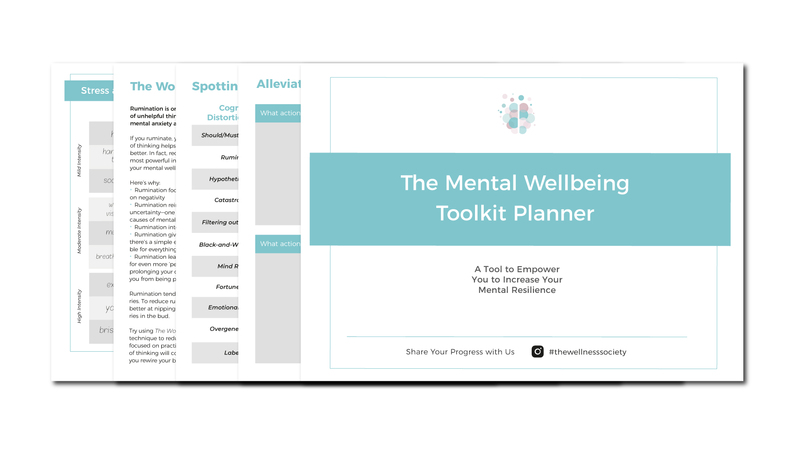 If you're a mental health professional or coach, check out our Therapy and Coaching Worksheets Bundle Offer. Coming from an organisation or school? Our other commercial use licenses can be found here.